Chiloé ist eine Insel voller Mythen, Legenden, Bräuchen und interessanten Menschen mit einem ganz eigenen Lebensrhytmus – Sie werden verzaubert sein! 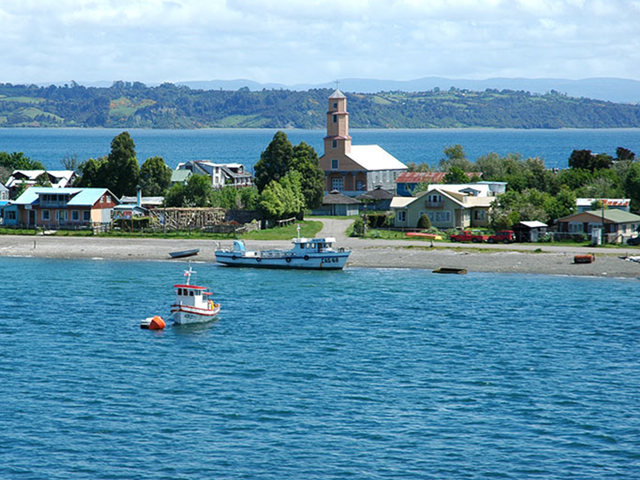 Die Kirchen von Chiloé gelten als einer der größten Kulturschätze des Landes und wurden im Jahr 2000 in das Weltkulturerbe der UNESCO aufgenommen. Die ersten der insgesamt 16 unter Schutz stehenden Kirchen wurden im 18. Jahrhundert von den Jesuiten mit Hilfe der kunstfertigen einheimischen Zimmerleute errichtet. Die Kirchen wurden komplett aus Holz und ohne einen einzigen Nagel gebaut. Flight to Castro. Your bilingual guide and Chiloé expert will pick you up at the airport. After checking in at your hotel, you will explore the fishing village of Dalcahue, with its lovely wooden church. 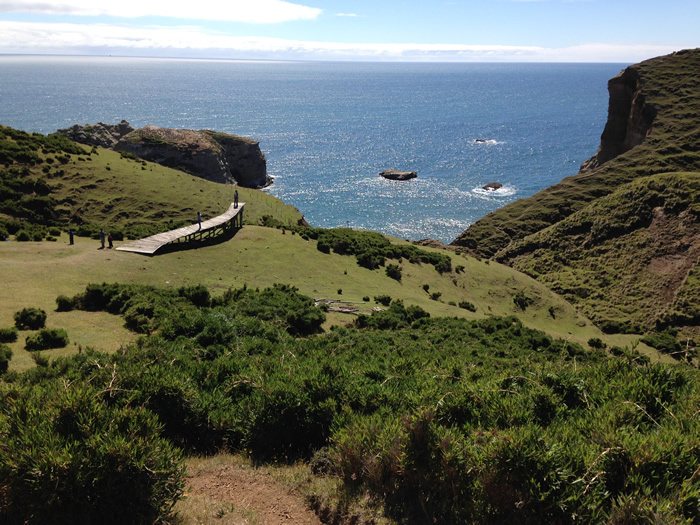 Dalcahue is the regional centre for many smaller islands and fishing villages along the coast and provides good insight into the traditional way of life on Chiloé. It has photogenic clapboard houses and colourful fishing boats that bring in fresh catches of crab daily. 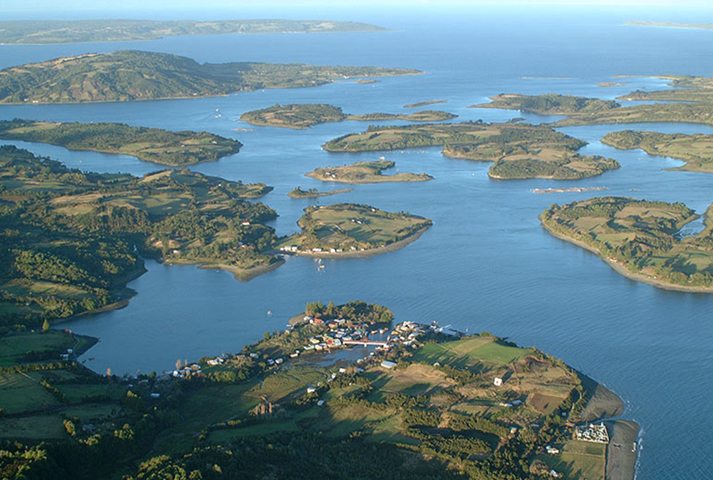 Afterwards you take a ferry to the island of Quinchao with its beautiful viewpoints and wooden churches. First you will visit the hamlet of Curaco de Velez and its well preserved wooden church. Then you go on to the village of Achao. 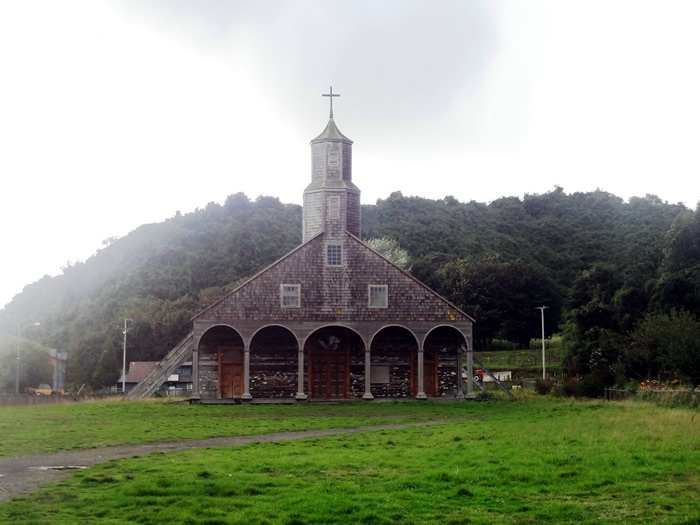 The church of Achao is the oldest one on Chiloé and is often described as the most valuable church of all Chile. Parts of the church are dated from 1740. After the visit you have time to see the village, before returning to Castro. Overnight in Castro. This will be a rather active day. Your hike starts at Cucao, a long, open bay with a beautiful white sandy beach surrounded by wooded hills. 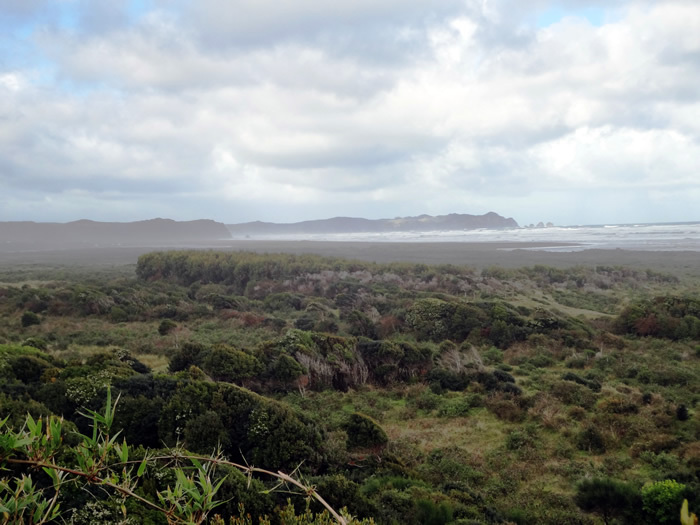 You will hike southwards along the coast through native forests and gain altitude until you arrive at a beautiful viewpoint looking out over the Pacific Ocean. From there, continue over the hills until you reach the mystic and highly symbolic “Puente de las Almas” (Bridge of the Souls). Locals believe that the souls of the deceased start their journey to the afterlife on this bridge. You can have a picnic and enjoy a spectacular view over the Pacific Ocean from a 70 meter high cliff. Return to Castro in the evening. Overnight in Castro. 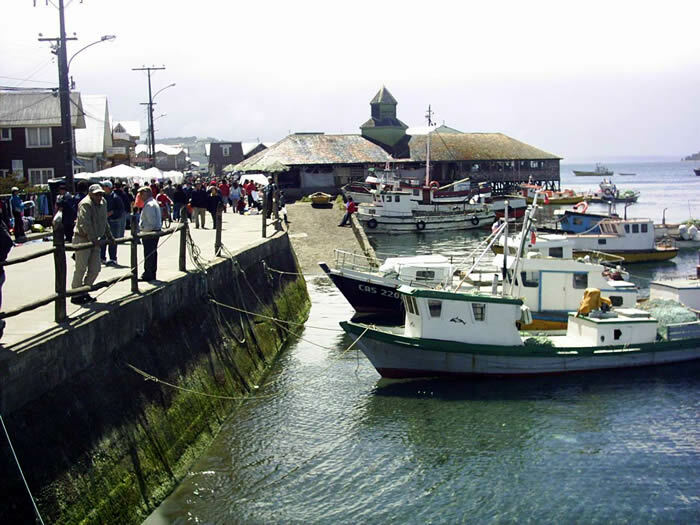 Departure or extension programme in Puerto Varas.